Hyderabad: Volkswagen Motorsport India has selected their new batch of drivers for Volkswagen Ameo Cup 2019. With 15 new drivers and 10 from the previous season, Volkswagen Motorsport India has finalized its batch of competitors for the Ameo Cup 2019. 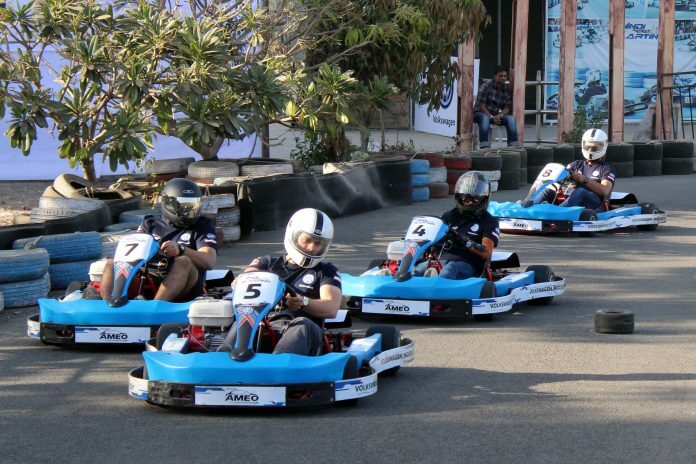 The Drivers’ Selection process was held at Indi Karting Track in Kharadi, Pune on 9th and 10th February 2019. Head of Volkswagen Motorsport India Sirish Vissa, Driver Coach Rayomand Banajee and Karting Expert Steve Hodges were the chief selectors during the two-day programme. The selection process included test that rated driving skills and fitness. First day of the driving selection process saw Rayomand and Steve impart basic steering and braking techniques to the participants and tips on finding the ideal racing line and the need to follow it. The drivers were then given the time and opportunity to game up their skills and get used to the track. The three judges, Sirish, Rayomand and Steve each scored the drivers out of 20 for their driving techniques which had the highest weightage in the selection process. Every driver’s fastest lap time and ultimately the fitness scores were also added up to decide the final scores for each participant. Volkswagen Motorsport India’s fitness partner Multifit organized warm up and cool down sessions for the drivers. Four trainers from Multifit conducted a few exercises in order to evaluate the fitness of the participants. Going further, Multifit will also conduct a fitness camp for the final competing drivers through the season including tips on everyday nutrition for best performance. The format of the Volkswagen Ameo Cup 2019 will remain the same as the recently concluded Volkswagen Ameo Cup 2018. There would be in total 10 races throughout the season being held at India’s all three racing circuits in Coimbatore, Chennai and Greater Noida. The drivers would be classified in Pro and Junior category based on their experience in racing. At the end of the season, the winner of the Ameo Cup Pro category would get a sponsored seat in a higher series of racing while the winner of the Ameo Cup Junior category would get a sponsored seat in the Ameo Cup for one more year to get developed further.